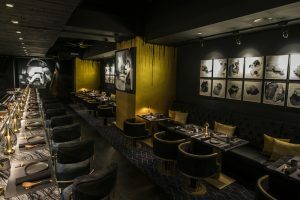 <<15th April 2019 – Hong Kong>> Silencio, the latest restaurant by award-winning hospitality group Le Comptoir, is now open in the heart of Hong Kong. 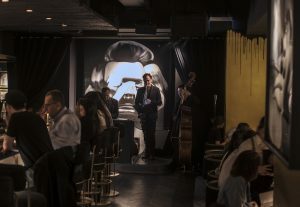 The city’s first and only contemporary Japanese izakaya featuring live jazz music, Silencio recreates the vibrant ambience of Japan’s much-loved drinking dens, uplifted with modern art pieces by Tomoo Gokita, an impressive line-up of live jazz and a menu of reimagined Japanese izakaya favourites. Silencio’s interiors showcase the monochromatic works of Tokyo-born cult figure Tomoo Gokita. Gokita’s paintings depict a neo-expressionistic style of modern art that dominated the 70’s, managing to simultaneously allure, inspire and disturb. Gokita’s Club Mature (2015), sits as the focal point of over a dozen of his works that line the walls of Silencio. Paying tribute to Gokita’s deep affinity to music, Silencio’s live music line-up features Hong Kong’s most distinguished jazz musicians. Whether enjoying a tipple at the bar or dining on a variety of palate-pleasing dishes, guests will find their senses stimulated throughout their entire experience at Silencio. The Silencio kitchen is led by Sean Mell, previously the long-time Executive Chef of Nobu Hong Kong. In a unique twist, joining him at the helm is Korean chef Yong Soo Do, previously Chef de Cuisine of progressive Korean restaurant Bib’n’Hops. Sean’s experiences developing Japanese-Peruvian cuisine in Nobu restaurants across the United States under the tutelage of celebrity chef Nobuyuki Matsuhisa are complemented by Yong’s experiences with a myriad of cuisines in some of Canada and Hong Kong’s top restaurants, including Buca Osteria and Enoteca Italian restaurant in Toronto, French-American Liberty Private Works in Hong Kong and modern Korean Jinjuu Hong Kong. 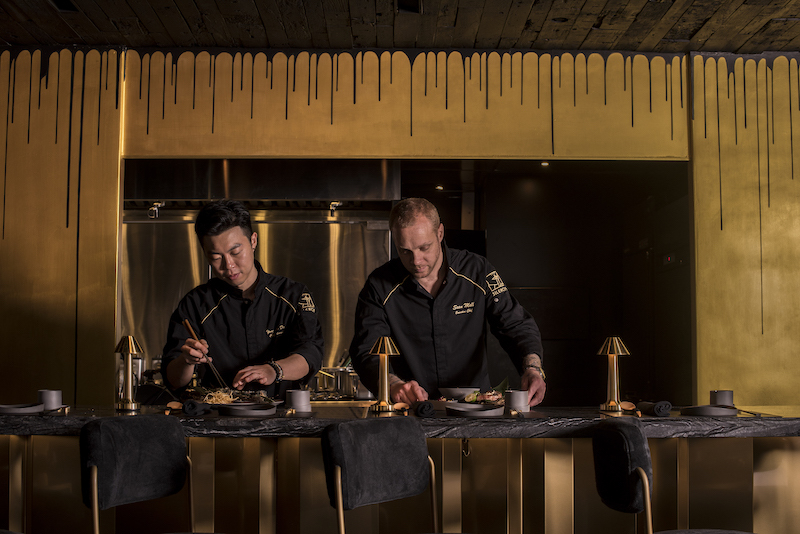 Together, Chefs Sean and Yong have developed a contemporary izakaya menu at Silencio unlike any other, producing dishes that converge their unique culinary journeys on a plate. 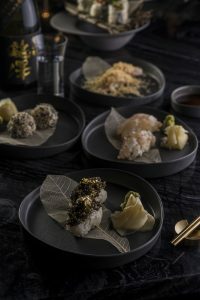 Using premium seasonal ingredients and modern techniques, the dual chef team will introduce a refined rendition of traditional Japanese izakaya dishes to the heart of Hong Kong. 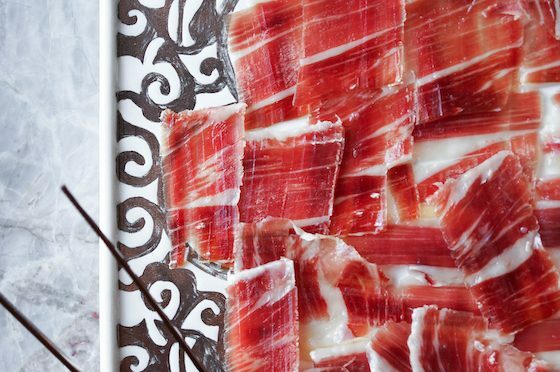 With all dishes made to share, Silencio’s inventive menu showcases the freshest selection of produce flown in from all corners of the world. In addition to the chef’s Traditional Sashimi or Nigiri Platter (HK$1,200) omakase, some of the exciting menu features include Silencio’s original new-style Nigiri, Sashimi and Specialty Rolls. Choose from four types of Nigiri (2 pieces), including “Italian”, “Russian”, “Australian” and “French”, with each nigiri highlighting a key delicacy from the respective countries. 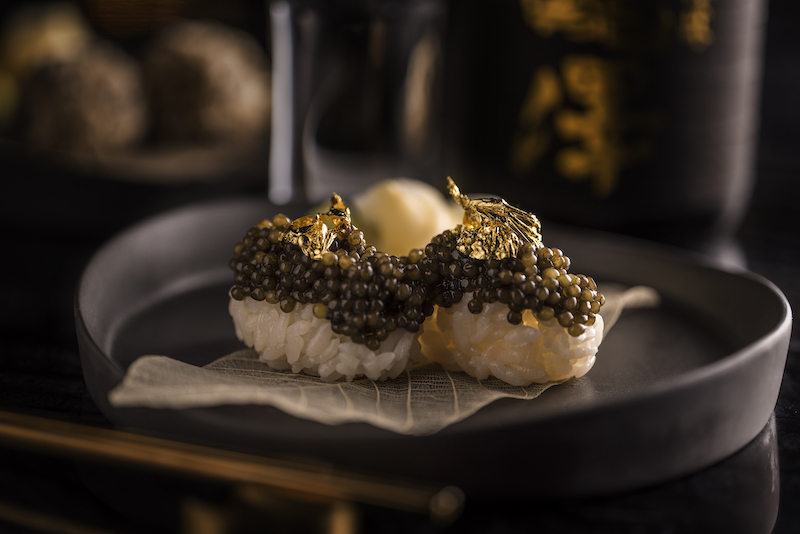 “Russian” (HK$350), for example, is a decadent serving of Osetra caviar and gold flakes on authentic handmade sushi rice. Follow with new-style Sashimi such as “Pablo” (HK$180), a coffee-cured hamachi with watercress puree and pickled shallots. Raw hamachi is first dusted with sansho, ground coffee and wrapped in umami-rich kombu, and is cured in-house for 24 hours. The hamachi is then smoked with ground coffee to achieve a slight bitterness while amino acids from the coffee tenderize the flesh. The accompanying sauce consists of wasabi yogurt, chive oil, pickled red onion, fresh pomelo and watercress puree. “Evita” (HK$180), inspired by the legendary late-1940’s First Lady of Argentina María Eva Duarte de Perón, is a dish of fresh Hokkaido scallop and cucumber dressed with shiso chimichurri and finished with garlic chips. From the Specialty Rolls, Silencio presents the “Fifty Shades of Tuna” (HK$250), its signature version of the rainbow roll. Demonstrating the spectrum of flavors and textures of the prized Japanese Bluefin tuna, the roll combines akami (leanest dorsal meat), chutoro (medium fat belly) and otoro (fattiest belly), which wrap around a center of flavor-rich negitoro. Guests are advised to begin with the akami, then chutoro and to finish with the fattiest otoro. Another specialty roll, the playful “Cheeseburger” (HK$200) first combines the mince of A4 Miyazaki wagyu tenderloin, strip and rib-eye with onion, pepper and garlic. Smoked cheddar is added to the center for a smoky, grilled burger flavor, and the whole patty is wrapped up in nori and fried in tempura batter. Crispy shoestring potato fries and ketchup, mustard, tonkatsu and pickles complete the dish. 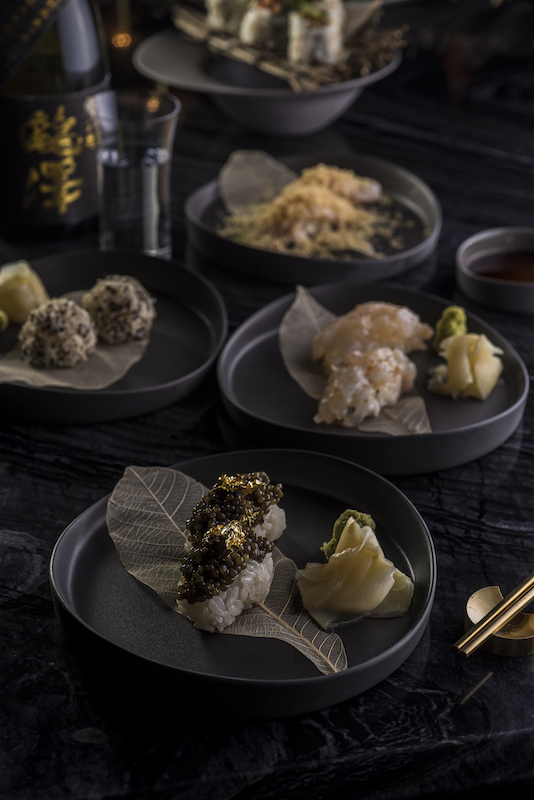 Experience Tempura like never before with Silencio’s modern takes on the traditional Japanese deep-fried delicacy. 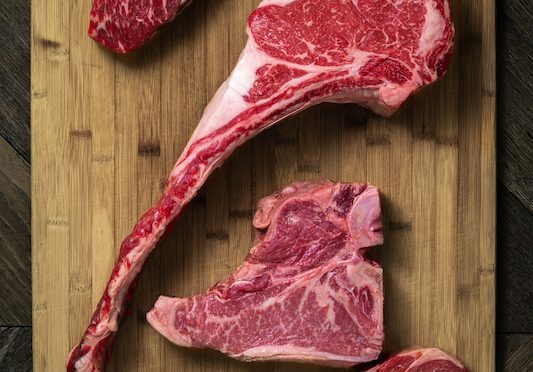 Beef (HK$250) consists of the minced meat of three different cuts of prized A4 Miyazaki wagyu mixed with foie gras ganache, as well as a piping-hot center of foie gras ganache. From dishes that are perfect to Share, the chef’s pick is the charcoal-grilled red Carabinero prawns with yuzu soy. The whole Prawns (HK$350) are flash-grilled on the shell to a melting medium-rare to raw, then taken off the gill and enhanced with sesame and grape oil to lock in flavors. Riding on the recent katsu-sando wave in Hong Kong, Silencio has come up with its own version to rival the best – Sando (HK$350), made simply with A4 Miyazaki wagyu katsu tenderloin, with kewpie mayo and tonkatsu sauce on chewy milk bread. For a different yet no less delicious style of sandwich, opt for the Foie Gras (HK$160), an open-faced house bao topped with pan-seared foie gras, homemade sweet onion soy, caramelized onion, pickled Granny Smith apple, chives and seasonal microcress. Separated into Light & Crisp, Bold & Bright and Full & Aromatic options, Silencio’s menu of premium sakes is composed almost entirely of Junmai-shu. Junmai, brewed using only rice, water, yeast and koji, is known to be the purest form of rice wine. In addition to being an indication of quality level, Junmai sakes have a more complex flavor profile and a fuller, richer body to pair well with the flavors of Silencio’s dishes. 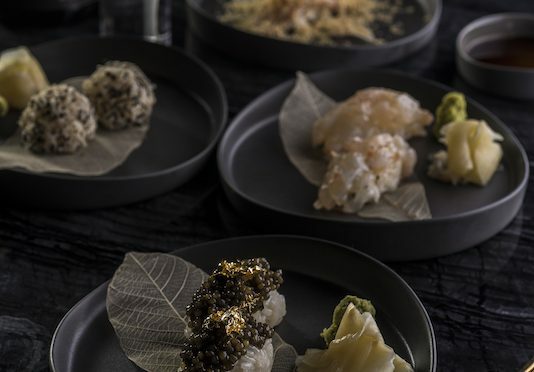 Each and every sake has been carefully selected as a complement to a specific dish at Silencio, and guests are encouraged to ask the in-house sommelier for food pairing recommendations. Reflecting Silencio’s rebellious food philosophy, the various sakes have been chosen from breweries that experiment with new methods of sake-brewing without being bound to tradition. Examples include modern revivals of ancient sakes, unpasteurized brews that allow the sake to retain its true flavor and essence, and sakes brewed by a female brewmaster, who currently make up less than 2% of Japan’s existing brew-masters. Discover different styles and flavors of sakes by the glass, including the Senkin “Modern” Junmai Ginjo (HK$130), a bold and aromatic sake from the oldest brewery in the Tochigi region. Senkin’s 11th generation owner applies wine knowledge from his background as a former wine sommelier to create refined sakes while giving a modern twist to this traditional beverage. From creator of one of the most sought-after sakes in Japan, the Takacho “Bodaimoto” Junmai (HK$160), was made using one of the most ancient brewing methods and in tandem with the same Buddhist temple that originated it. The result is a completely unique, full flavored sake with caramel notes and a juicy, acidic finish. Stay tuned for more information on Silencio’s upcoming collaboration with one of Japan’s most respected sake breweries with a history of over 200 years, to create a private label sake to be released later this year. In line with Silencio’s dedication to seasonality, the special private label sake will have seasonal releases. 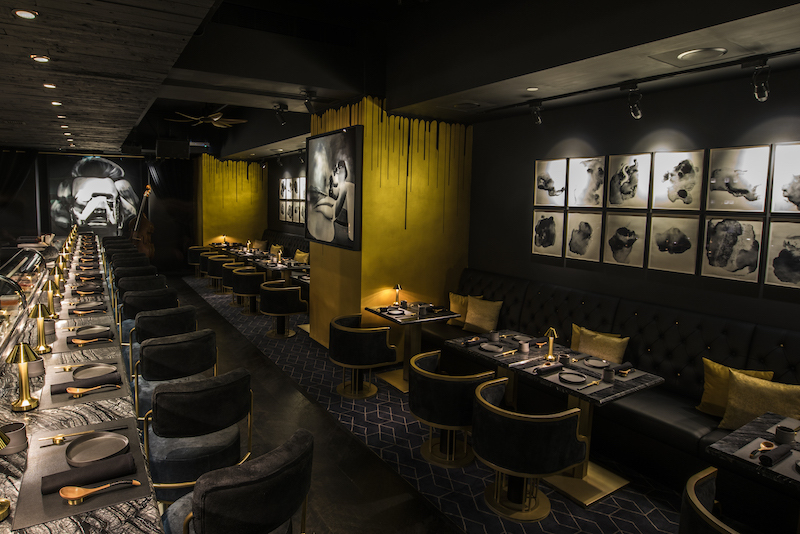 Silencio introduces a progressive gastronomic experience in the beating heart of Hong Kong. Led by a world-class team of chefs, Silencio strives to re-define Japanese izakaya cuisine by offering a multifaceted journey of art, music and contemporary food and drink. Silencio is Hong Kong’s only contemporary izakaya featuring live jazz music. The cuisine showcases a sophisticated take on Japanese izakaya favourites that respect tradition but are not bound by it, paired with a curated selection of junmai sakes and hand-crafted cocktails. Executive Chef Sean Mell and Chef de Cuisine Yong So Doo offer a refined rendition of traditional izakaya dishes, combining familiar flavors with seasonal local ingredients and modern techniques.